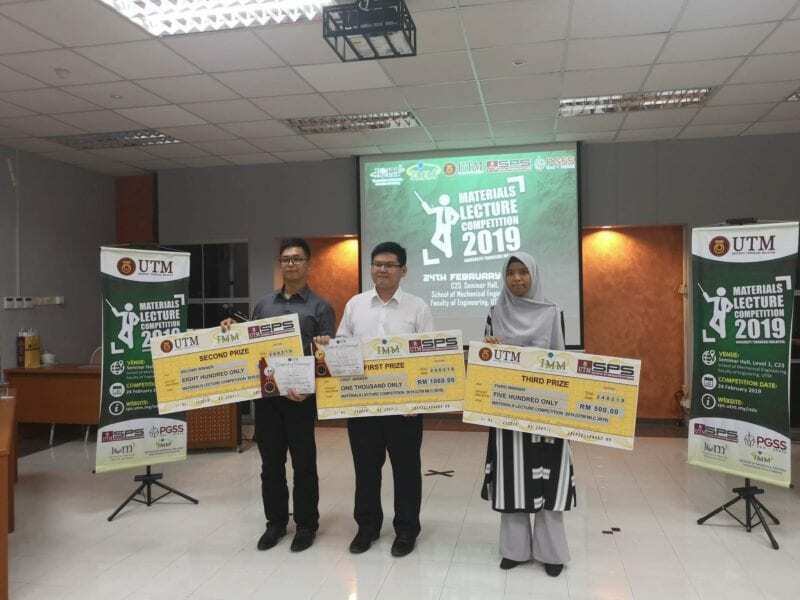 Four postgraduate students from Malaysian Japan International Institute Technology, Universiti Teknologi Malaysia have participated in the UTM-Materials Lecture Competition 2019 (UTM-MLC 2019), that was held on the 24th February 2019. The event was held at the School of Mechanical Engineering, Faculty of Engineering, UTM Johor Bahru. Congratulations to the third-place winner of Materials Lecture Competition 2019, Eleen Dayana from Malaysia Japan International Institute of Technology (MJIIT), Universiti Teknologi Malaysia. 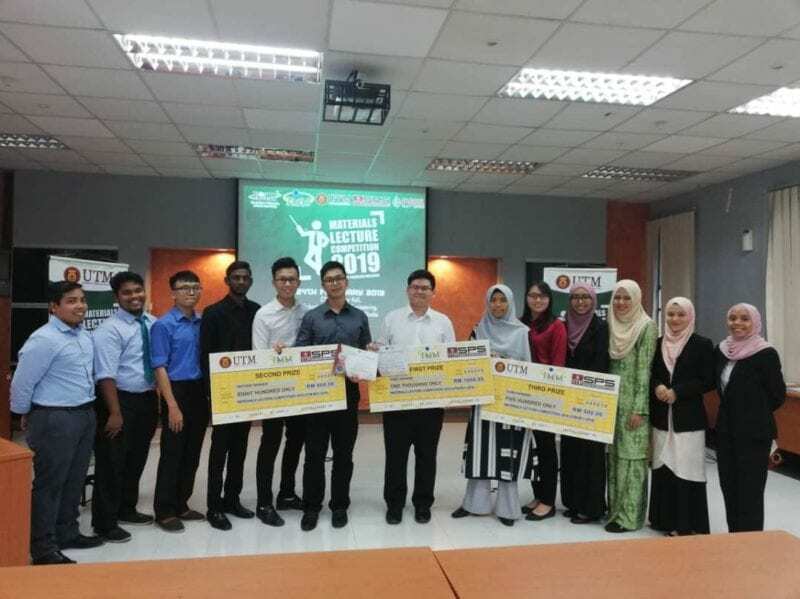 A total of 4 postgraduate students from MJIIT were selected as the finalists for the competition which was held on the 24th February 2019 at the School of Mechanical Engineering, Faculty of Engineering, UTM Johor Bahru. Materials Lecture Competition is a national event organized by the Institute of Materials Malaysia (IMM) and The Institute of Materials, Minerals and Mining (IOM3-UK). It is intended to spread awareness among Materials Scientist and Engineers regarding the importance of Materials Engineering and sustainability in the advancement of technology and humankind. This competition is organized at university level and the first, second and third place will received RM 1000, RM 800 and RM 500 respectively.Through thorough deliberation and evaluation, the winner at university level is (name of winner). 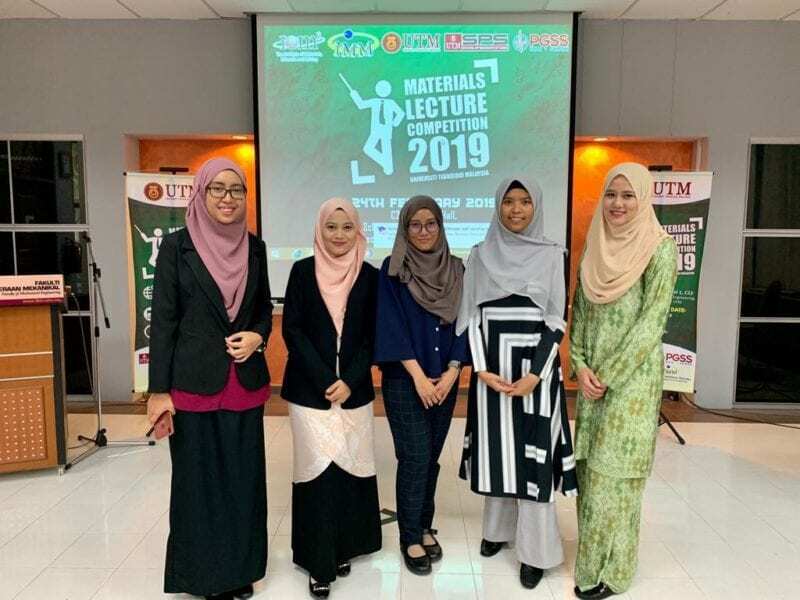 The winner will become the representative of UTM to compete at the national level of Materials Lecture Competition that will be conducted in April at UTeM, Malacca. The national champion will the become Malaysia representative to compete at the Young Persons’ World Lecture Competition (YPWLC) in London, United Kingdom. Congratulations to the Winner and thank you to all participants!